After studying science at Manchester University and completing a research degree at Cranfield University, Adrian spent a year farming in Botswana. In Namibia in 1986, he met filmmaker and humanitarian John Marshall who invited him to work in the Kalahari assisting the Ju/’hoansi develop a mixed subsistence economy. After two years in the field, Adrian moved to Windhoek to work for Oxfam Canada and subsequently for his own company. In 1997 he relocated first to the USA to pursue graduate studies in myth and psychology and then to Australia where he helped build a successful global recruitment business. 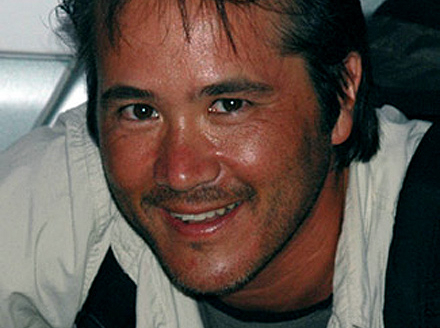 From 2006 he studied documentary filmmaking firstly at Queensland University of Technology, and then at Griffith University where his PhD research focused on the late John Marshall’s ethnographic filmmaking in the Kalahari. 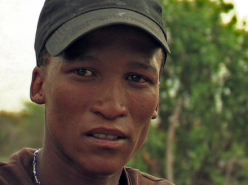 In 2007, he returned to Namibia to shoot a film about the Ju/’hoansi, Bitter Roots , which screened at film festivals around the world. While at Griffith University, Adrian made several documentaries with Professor Paul Taçon about contact period rock art focusing on the perspectives of indigenous people. 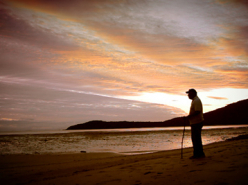 Together with Sean Gilligan, Adrian also made a feature-length documentary, Fantome Island , about a leprosarium for indigenous people, before returning to the UK in 2009. In 2013 Adrian moved into an old farmhouse in France where he runs a Chambres d’hôtes with Kate. When not hosting visitors, Adrian continues to pursue his filmmaking with local people in the Pyrenees Orientale, a Catalan corner of southern France.